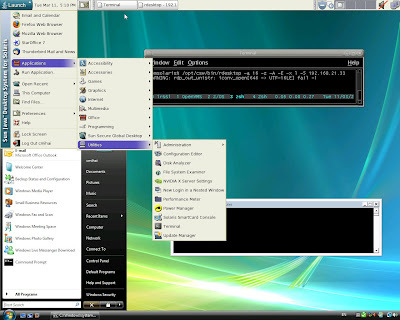 Here is a demo of SeamlessRDP, using tsclient on Solaris to connect to a Vista desktop machine. This is the Blastwave package. A simple "/opt/csw/bin/pkg-get install rdesktop" will do the trick.